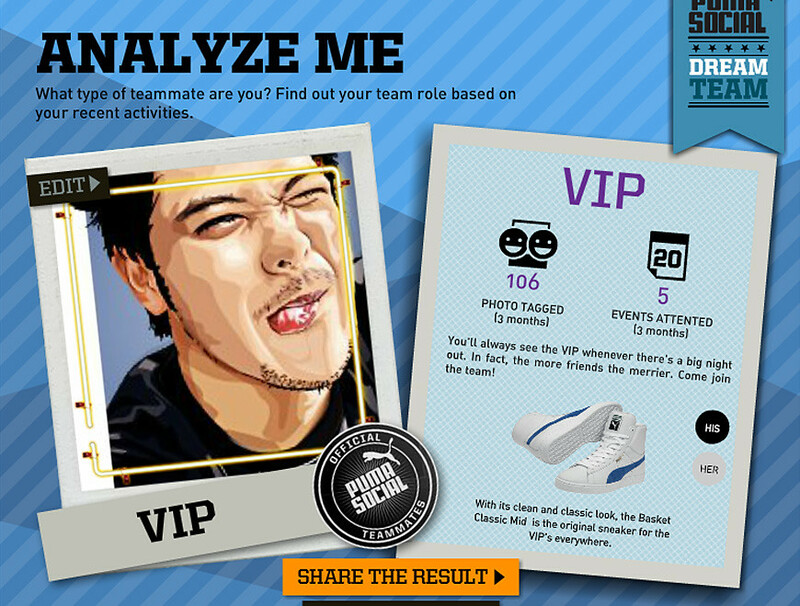 PUMA came out with an app called PUMA Social Dream Team. It's an app that calculates the user's social activities that are engaged on the facebook platform. So, from the calculation it helps to identify the user's social team role. 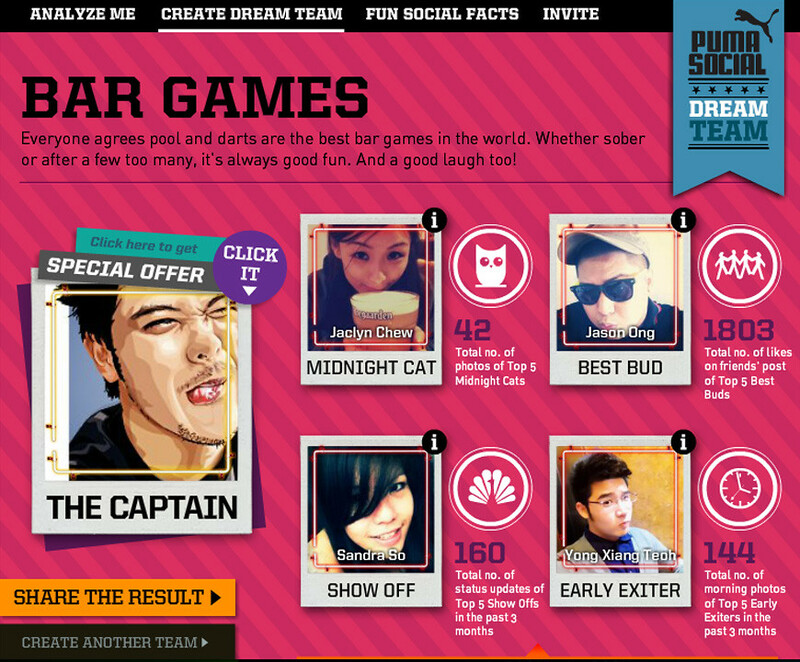 The user will automatically becomes the Captain of the PUMA Social Dream Team. 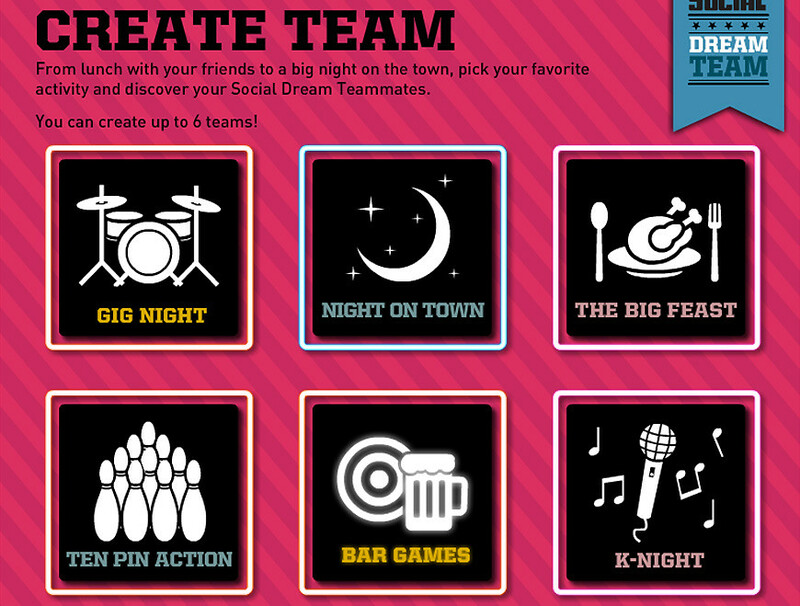 There are 6 social activities (Gig Night, The Night on the Town, The Big Feast, Ten Pin Action, Bar Games and K-Night) to choose from to create the Social Dream Teams each with different Teammate roles to be filled. Every teammate plays a different role that bonds the social team and make them unique. 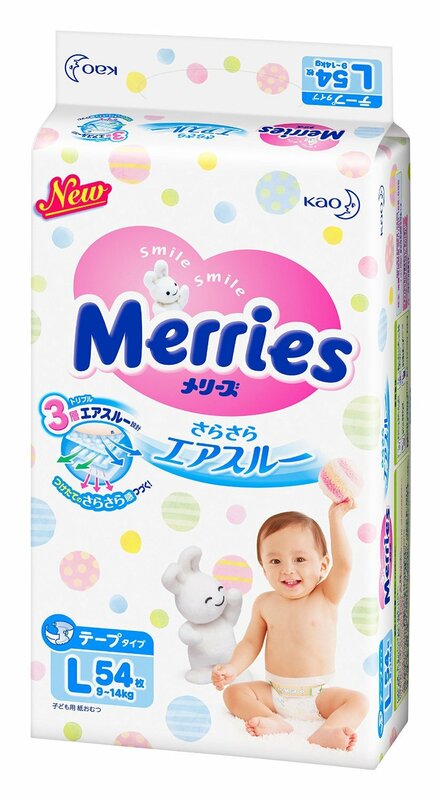 Go test out the app and if you did, share it and tag me under the comment box. I might just have some VIP tickets and PUMA merchandise for you. You're all welcome to take picture at the photo booth!